Without a doubt, Emergency Medical Technicians (EMTs) play a critical role in numerous situations. They must remain calm and collected when responding to emergencies or arriving at the scene of an accident. If they don’t act quickly and effectively, some patients may not survive transportation to a hospital. At Unitek EMT, we believe it’s absolutely vital to train future healthcare workers while utilizing cutting-edge techniques. Along with continuing education courses, we offer an accelerated EMT course, a 14-Day Boot Camp that will prepare you for real-world scenarios. If you’re seeking EMT certification, we would encourage you to consider Unitek’s EMT program. Our curriculum will provide students with EMT training, practical experience, and the latest techniques. Instructed by veterans with extensive histories, our program includes convincing emergency simulations. 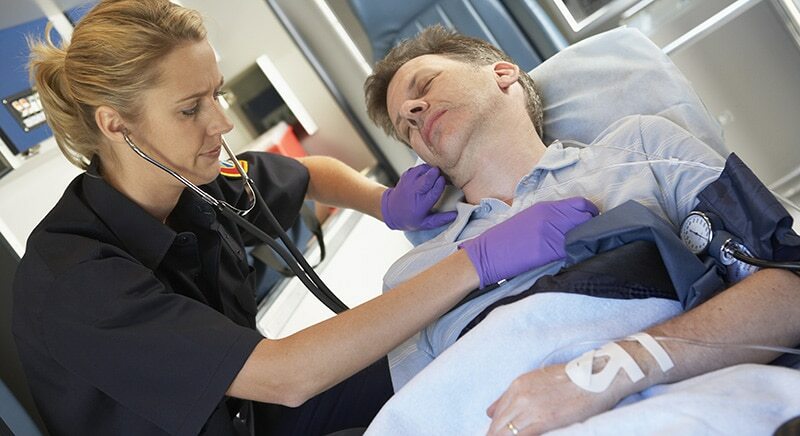 This combination will give you a glimpse into life as an EMT before you achieve certification. If you’d like to enhance your skillset, one of the following courses might be the right choice for you. Basic Life Support Course: This course will assist healthcare professionals who need to gain several skills, such as performing chest compressions, providing correct ventilations, and developing the ability to recognize life-threatening situations. EMT Refresher Course: A comprehensive, 3-day course, this EMT Refresher provides 30 hours of continuing education. It also gives students the opportunity to apply for EMT state recertification. In previous years, Unitek EMT has hosted a mass-casualty simulation called Operation Urban Rescue. Various agencies contributed to this phenomenal achievement. During the simulation, hundreds of personnel converged on the scene to deliver emergency care. By the end of the operation, insurgents had been apprehended, wreckage had been moved, and numerous patients had been treated. If you’re looking for an EMT Basic Training Programs, contact us toll free at 888-790-1458. Learn how to save lives with Unitek EMT.